Snapfish is an online photo printing service based out of San Francisco, California, United States. 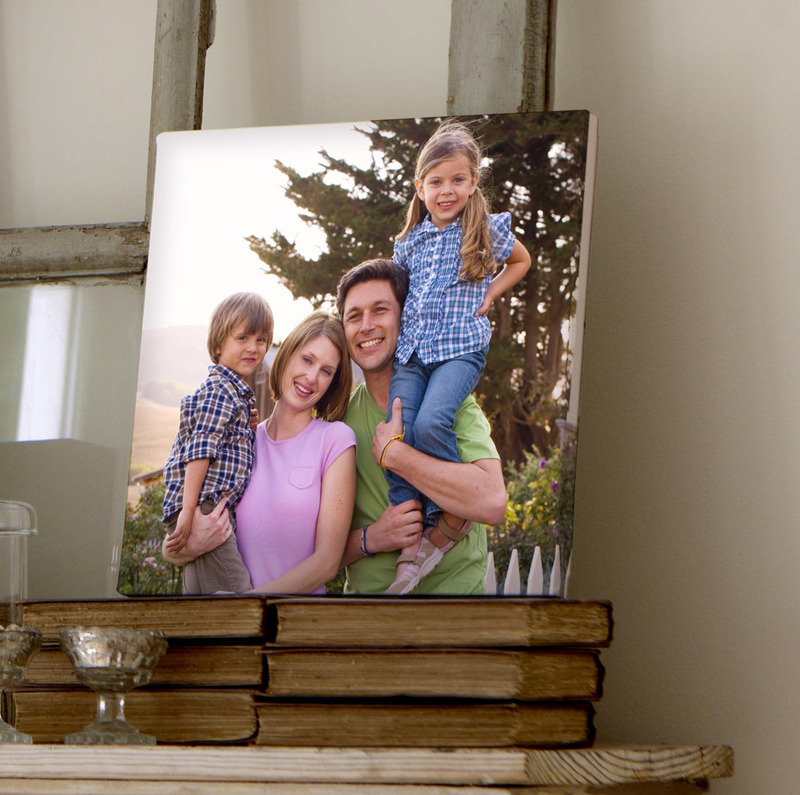 The company is a subsidiary of District Photo and allows users to upload their digital photos and have them printed on a wide variety of cards, calendars and other merchandise for home delivery. You can find them at Snapfish.com and several other country specific sites. What gives them a leg up over the competition is the range of special offers and deals available to help you make savings. These are redeemed with Snapfish coupons, and we list all the latest coupons here at Coupofy, so you never have to waste time searching on the web. Just check back before ordering to see what's available. Snapfish was one of the earlier photo printing services on the web, launching in the year 2000. It was a joint venture between Rajil Kapoor, Bala Parthasarathy, Suneet Wadhwa, and Shripati Acharya. After great success the company was acquired by HP, then in 2015 they sold it on to District Photo. Today Manas Chaliha serves as Vice President and General Manager, and the boast over 40 million members. 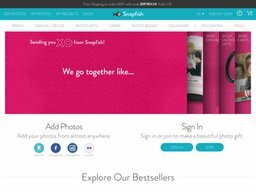 Snapfish allows customers to add their digital photos easily to their personal online photo album from their computer or social media sites like Facebook, Instagram and Flickr. You can then choose from a wide variety of printing options including standard Photo Prints of many sizes, Wall Art and Posters, Paper Cards, Photo Books and Physical Albums, Calendars, Mugs, Mobile Device Covers, Blankets and Cushions, Bags, and many other types of merchandise. Depending on the current deals available you may be able to get site wide discounts with our Snapfish coupon codes, or discounts on specific print products only. Their editing studio also allows you to make basic edits and customizations.These are saved under My Projects so you can return at any time. Snapfish accept a wide variety of payment methods including all major credit cards (Visa, Mastercard, American Express, and Discover). You can also checkout and pay easily with your PayPal account. To redeem a Snapfish coupon code all you have to do is enter it in to the promo box ahead of payment.If valid you should see a confirmation message and your total order cost should drop according to the offer. There is usually some kind of free shipping offer through the redemption of a Snapfish coupon, and this will be sent via their cheapest method. It can take up to 3 business days to process an order because everything is printed to demand, while standard shipping takes up to 5 business days. You can also pay extra for 2-Day and Overnight delivery options, which you can choose during checkout. Because of the custom nature of orders, SnapFish only accept returns if your item is damaged, defective or has significant quality issues that aren't the fault of the photo itself. Before sending anything back you must contact customer support online first so they can authorize the return. They will then double check the item before making a final decision. In a lot of cases you will not have to send anything back and they will re-print the item to a better quality. Refunds will appear in your account within 3-7 business days. Hey friends! Snapfish has a new Twitter handle. Please follow us at @SnapfishUS for all your photo-related fun and questions!